Delaware will more than double a program established earlier this year to boost career and technical education in the First State. 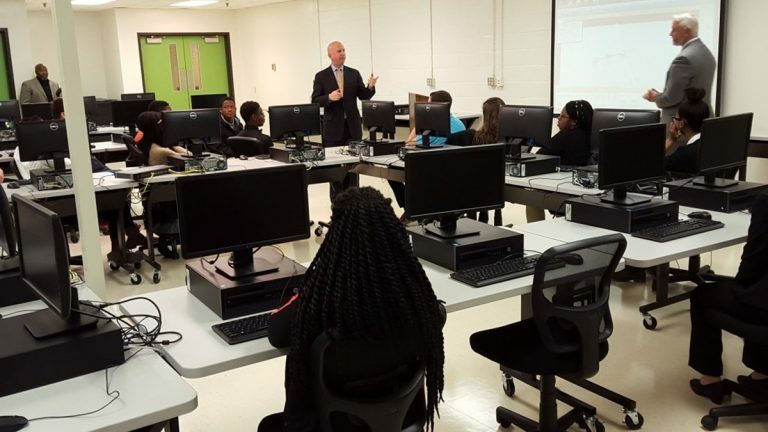 Governor Jack Markell, D-Delaware, announced $600,000 in grants Monday for his Pathways to Prosperity program. The money will support 55 pathway programs at 29 high schools, an uptick from the 25 pathways established last year. The pathway programs are designed to give students a boost as they enter fast-growing fields such as engineering, IT, health care, and hospitality. Students in the pathways can receive hands-on training, earn college credit, and log work experience–depending on the program in which they are enrolled. The specialized curricula contained in the pathway programs were created in coordination with local employers and universities. Officials estimate the 55 pathway programs will serve more than 5,000 students starting next fall.